If I had to guess — and it isn't really much of a guess at all — I'd point my finger at the overwhelmingly poor quality of app reviews in general. 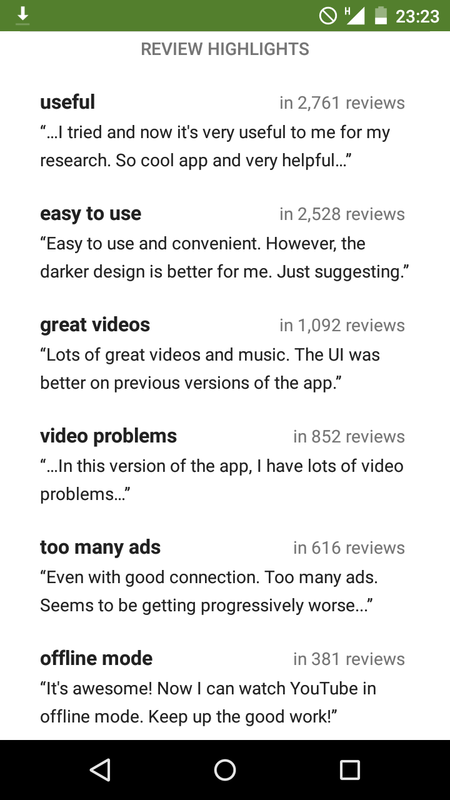 The same is almost universally true for all app stores, but for Android in particular, users are petty, juvenile, or just plain vindictive, and, on average, reviews hardly give any sense of the quality of an app. Unless it makes up by being entertaining, bad reviews are simply a waste of everyone's time. Obviously, there are ways to counteract this, with the most obvious one being to float high-quality reviews to the top and bury poor ones at the bottom. Google has already been employing this for a few years now with some success, when it began sorting reviews by helpfulness instead of in reverse chronological order. How Google actually classifies the "helpfulness" of a review is somewhat of an unknown, and the algorithm could probably do with a few improvements. There are still countless measures that could be taken to improve the overall review experience (filtering by version number or increasing the character limit of reviews come to mind), and that's why virtually any news of Google experimenting with reviews is good news. 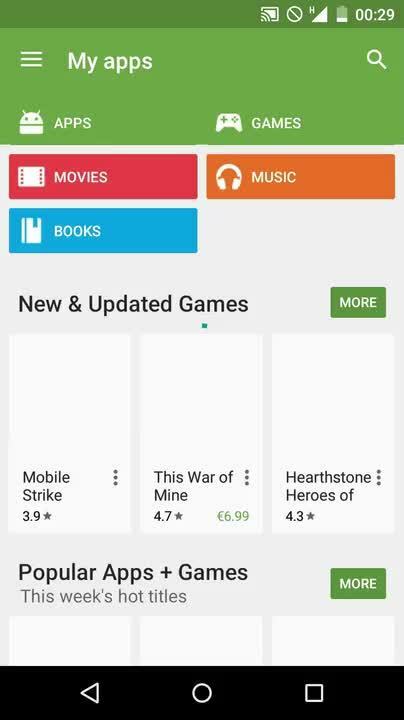 We've received a tip from one of our regular readers that Google is running a limited test with review highlights on the Play Store. 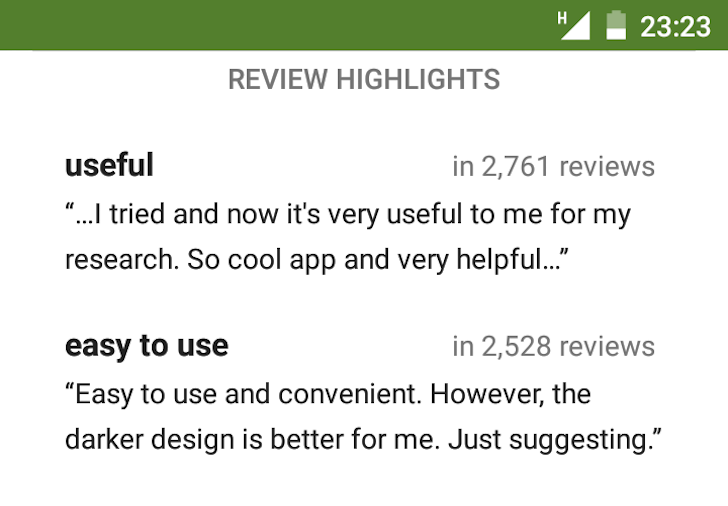 Review highlights provide a quick glance at what a majority of users are saying about a given app, thus giving potential installers a brief summary of what they can expect to see. At this point, it's too soon to know for certain if this will eventually roll out to every user, but if the data collected by Google is favorable (and I'm somewhat inclined to believe it will be), we may hope to see this in a future Play Store update. Or maybe not. Who knows? The review highlights feature appears to have been finalized and is now rolling out to most people, and looks just as it did when we posted about this last month. 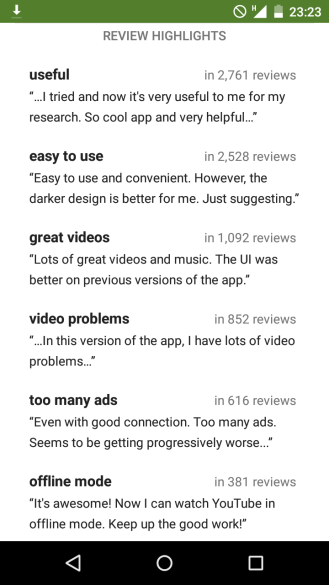 To recap: common keywords and phrases are shown in the Play Store listings of apps and games, allowing you to see what people most commonly had to say about that app. It's actually pretty handy, and definitely a worthwhile addition to the Play Store.